Throughout his career, Nott’s work was exhibited at some of the most prestigious locations in the world. The Smithsonian’s National Air and Space Museum Innovation, now on permanent exhibition at the Smithsonian’s National Air and Space Museum, was designed, built & piloted solo by Julian Nott to a world record altitude of 55,134 ft. in 1980. 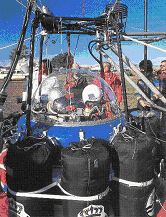 Nott was the first person to design a hot air balloon with a pressurized cabin. He was awarded the Gold Medal by the Royal Aero Club, the first ever given to a balloonist, for his work designing high altitude balloon cabins. The Gold Medal had previously been awarded to only 34 other pilots of distinction including the Wright Brothers & Neil Armstrong. Innovation has been on exhibit at the NASA Space Center, Houston The Smithsonian National Air & Space Museum maintains the world’s largest & most significant collection of aviation & space artifacts. The museum holds in trust some 60,000 objects including the 1903 Wright Flyer, the Spirit of St. Louis, Apollo 11, the Concorde, & the space shuttle Discovery. 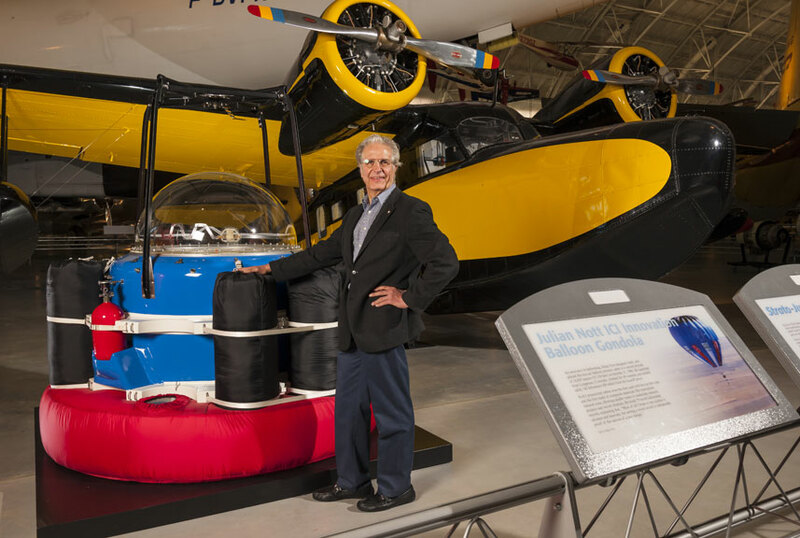 Innovation will be one of only thirteen balloon cabins on exhibit, spanning more than 100 years & one of only four which are pressurized. The Smithsonian National Air & Space Museum began in 1876 & today welcomes more than eight million visitors a year, making it the most visited museum in the country. 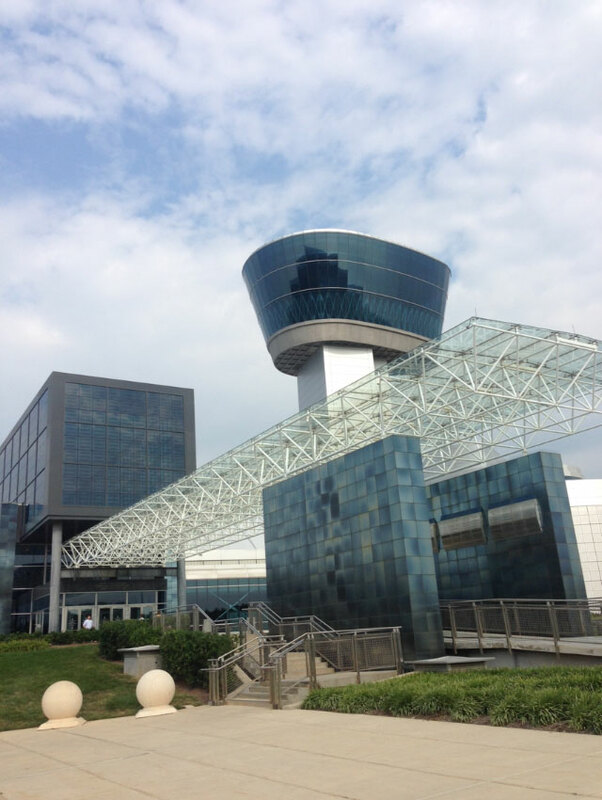 The Steven F. Udvar-Hazy Center, located at Washington Dulles International Airport, opened in 2003 & now exhibits Smithsonian’s air & space collections. Nott with his cabin which is on permanent exhibition in the spectacular Smithsonian National Air and Space Museum Center at Dulles Airport. Space Museum, Udvar Hazy Center. Alan Eustace’s skydive equipment are a few feet apart. Click here so see the skydive equipment. 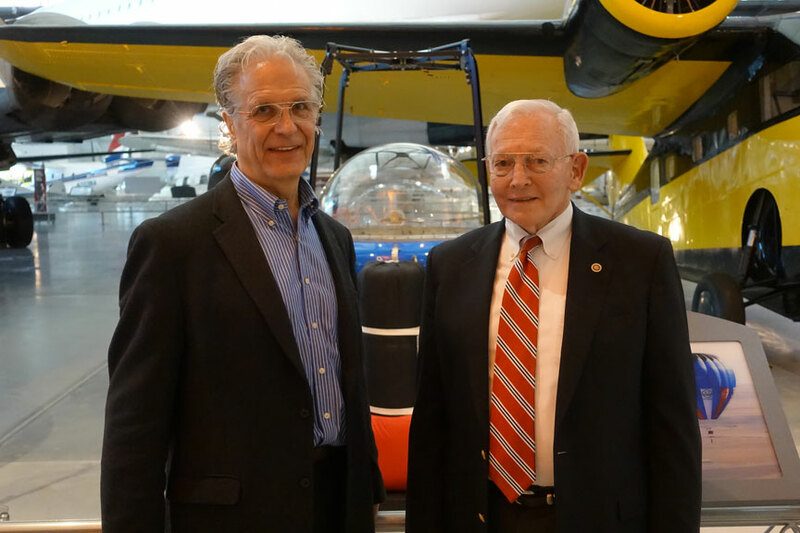 Nott with Museum Director, General John Dailey. 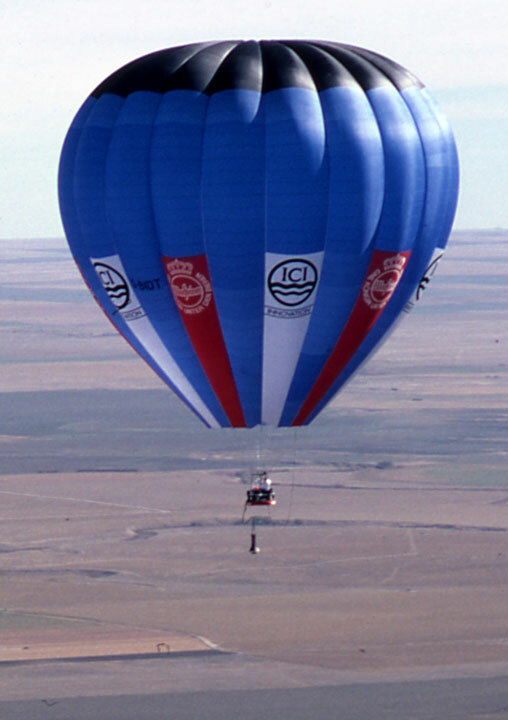 Nott designed and built the first hot air balloon ever to have a pressure cabin and piloted it to increase the world altitude record by ten thousand feet! The cabin was displayed by the London Science Museum in their principal building in South Kensington, London, for seventeen years. The Museum is the most important museum in Britain that might include Nott’s work in its collection, and moreover one of the most important museums in the world. The record set with this cabin stood for several years. As soon as it was broken, Nott immediately set out to win it back. He succeeded in just thirteen months, designing and building the cabin shown below. This cabin has been shown in several locations, and was included in a major special exhibition at “Space Center Houston” in 1996. Space Center Houston is the official visitors’ center of The National Air and Space Administration’s Johnson Space Center, one of NASA’s most important sites. 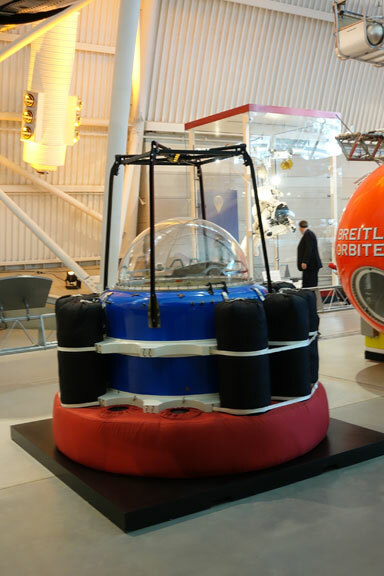 The exhibition, which included this cabin, was entitled “Pushing the Envelope – Ballooning To The Edge of Space.” The premise of the show was that high altitude manned balloon flights were one of the crucial stepping stones on the way to space flight, the Moon, and one day the stars. 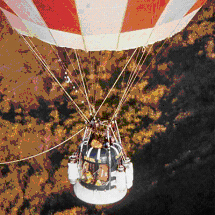 Other than a standard modern sport hot air balloon with wicker basket, Nott’s cabin was the only item later than about 1960 included in the show. Nott gave the opening speech for the exhibition. Display at Space Center Houston. Note the central position in the exhibition and right, rear, the NASA logo and Space Shuttle replica. One of Nott’s cabins was displayed for several months in the Theodore Roosevelt Rotunda of the New York Museum of Natural History. The Rotunda is immediately inside the main entrance, the most prominent possible location, in one of the most important museums in the world. Nott was interviewed live on CBS “Good Morning America” from the Museum. This picture from “Insight” shows Nott and the cabin in the Rotunda. 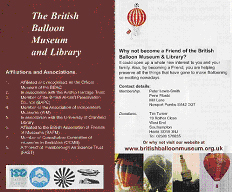 For at least the last twenty years, items large and small from many stages of Nott’s career have been in the collection of the British Balloon Museum and Library. 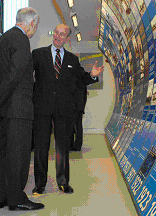 opening the Milestones Exhibit. 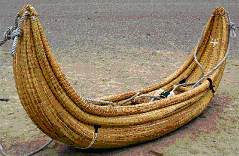 The gondola of the 2002 “Prehistoric Nazca Balloon” is currently in the official museum of the National Cultural Institute of Peru [Instituto Nacional de Cultura] in Nazca. The most recent major museum to include Nott’s work is the Royal Air Force Museum, London. To mark the hundredth anniversary of the Wright Brothers flight, the Museum opened an entire new building, the “Milestones of Flight Gallery”. In the words of the museum curators “this carefully chosen exhibition … covers the great achievements in the first 100 years of flight”. It includes a mere four hundred references of the entire history of aerospace, from the Wright Brothers to the Moon Landing and beyond. 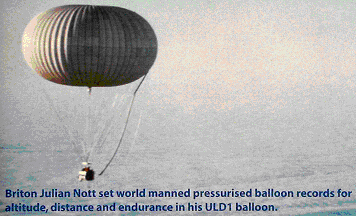 Nott’s is the only balloon chosen except those from the very early twentieth century. The balloon chosen is the superpressure Pumpkin balloon designed and flown by Nott. Nott was the first person ever to fly in a pumpkin balloon. 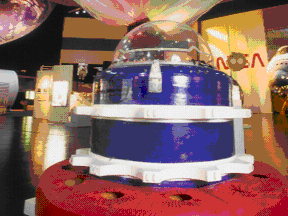 The Ultra Long Distance Balloon currently being developed by NASA uses the pumpkin concept.